2017 saw again an increase in flat plate collector area in China. Newly installed flat plate collector area rose by 13 %, whereas vacuum tube collector area declined by 9 % (see the table at the end of this article). Estimates by CSTIF, the Chinese Solar Thermal Industry Federation, put the size of the 2017 flat plate collector market at 6.03 million m2 (4,221 MWth). 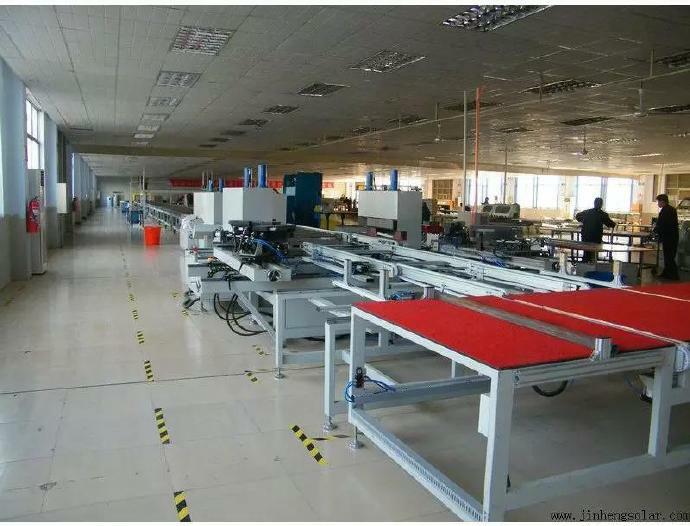 Jinheng Solar, a flat plate collector manufacturer based in Dezhou in Shandong province, responded to the positive development by expanding production capacity last year. The photo shows the company’s new automated production lines. Jinheng’s global sales department has said that the factory had manufactured an average 230 two-square-metre collectors each day before output had been increased to 500 following the investment. According to Sherry Wu, International Sales Director at Jinheng’s subsidiary BTE Solar, the collector area produced by the company had consequently been more than twice as much in 2017 than in 2016, surging from 166,000 m2 to 387,000 m2 (116 to 278 MWth). Hongzhi Cheng, who heads market research agency Sun’s Vision, has confirmed that Jinheng Solar is among the largest flat plate collector manufacturers in China. Another one is Sunrain Solar Energy, which also benefitted from last year’s rising demand for flat plate collectors. 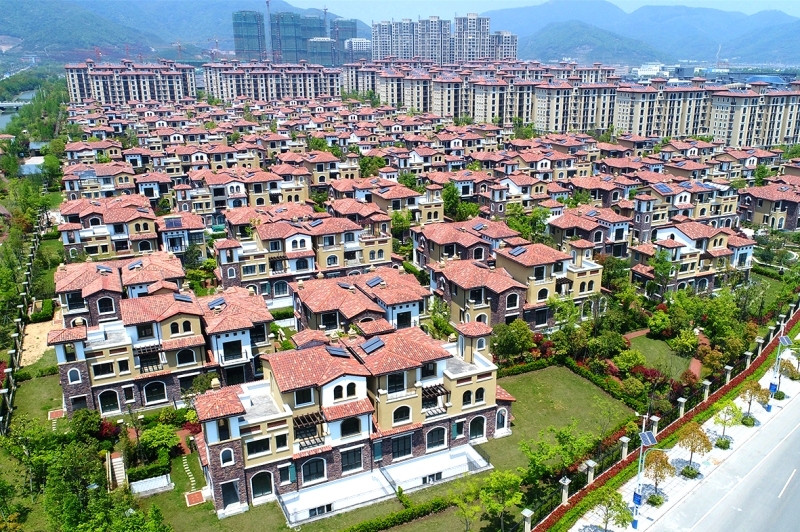 One of the projects that has individual solar water heaters installed for each housing unit is Yan Lan Mountain Villa, a residential area in the city of Ningbo, south of Shanghai (see the photo below). In May 2017, 1,648 m2 of flat plate collector area was commissioned in this part of the city. Cheng said that most of the flat plate collectors produced in 2017 had still been painted black. Blue-colour selective coating made up around 15 % of the collector area. Selectively coated absorbers were either purchased domestically or imported from Germany. Key market figures for the period 2015 to 2017 (1 million m² corresponds to 700 kWth).